Item # 306758 Stash Points: 895 (?) This is the number of points you get in The Zumiez Stash for purchasing this item. Stash points are redeemable for exclusive rewards only available to Zumiez Stash members. To redeem your points check out the rewards catalog on thestash.zumiez.com. Create a layered look with the Red Rose Choker 3 Pack from Stone + Locket. 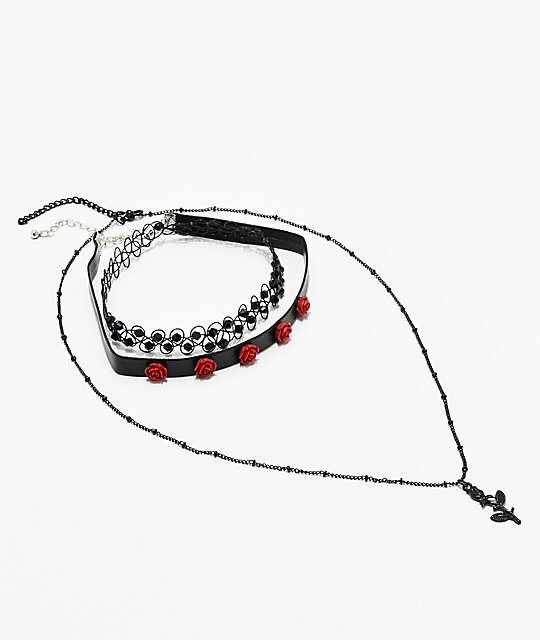 This three pack includes one stretch choker with sparkly beads, one black choker with red roses and a delicate black chain necklace to finish off the look. 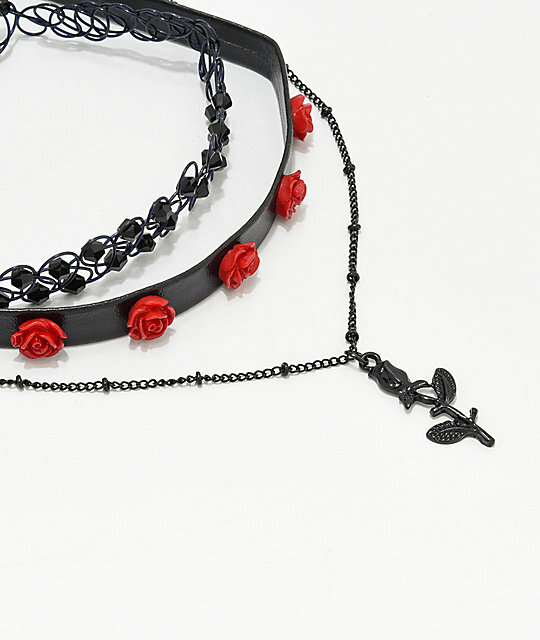 Red Rose Choker 3 Pack from Stone + Locket. Choker 1: Black faux leather with red roses. Choker 3: small black chain with black rose pendant.